Bread, Naan There are 14 products. 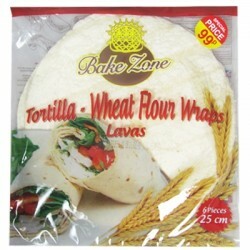 Oven baked flat breads available in a vast range of different flavours, sizes and styles. 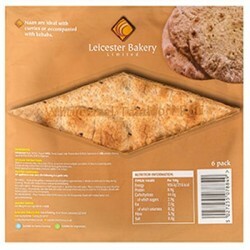 A fabulous low calorie flat and hollow bread, available in both white/brown options, originating from the Middle East. 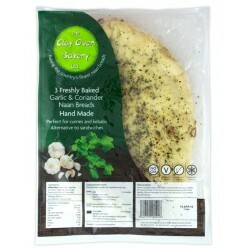 Tear Drop shaped garlic and coriander Naan Bread predominantly used as an accompaniment with curries or kebabs. 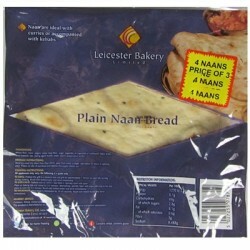 Hand Made family sized Plain Naan predominantly used as an accompaniment with starters and curries. 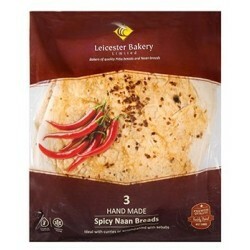 Hand Made family sized Spicy Naan predominantly used as an accompaniment with starters and curries. 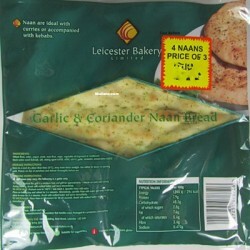 Tear Drop shaped plain Naan Bread predominantly used as an accompaniment with curries and kebabs. 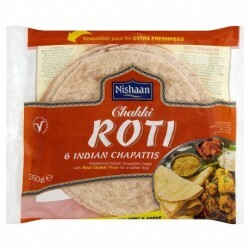 Round shaped Tandoori Roti predominantly used as an accompaniment with curries and kebabs (6pcs). 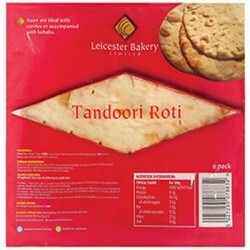 Round shaped Wholemeal Tandoori Roti predominantly used as an accompaniment with curries and kebabs (6pcs). 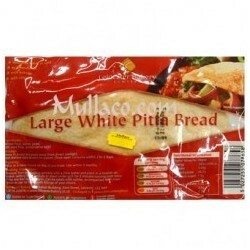 Oval shaped Pitta Bread predominantly used as a pocket to fill with meat, salads and any other fillings of your choice. 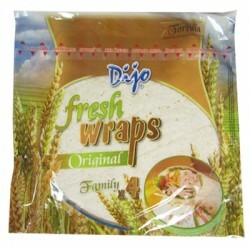 Also can be used as an accompaniment with curries. 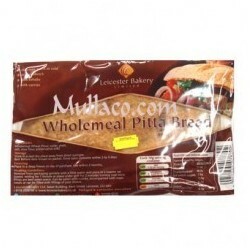 Oval shaped wholemeal Pitta Bread predominantly used as a pocket to fill with meat, salads and any other fillings of your choice. Also can be used as an accompaniment with curries. 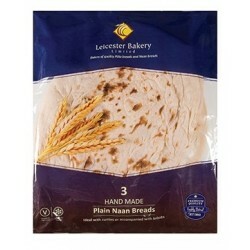 A freshly baked, hand made naan bread that’s perfect for curries, kebabs and wraps (3pcs).